I'm not really one for making New Year's resolutions but I thought it might focus my mind to think about some of things I would like to achieve this year creatively and for this blog. I have also posted photos of some of my favourite things I have made over 2011 in the hope that it might make you read this selfish post right to the end!! 1. Try at least 4 new crafts - either in classes or self taught. 3. Teach a crafty skill to someone else. 4. Finish my granny blanket - this will involve attaching together the 100 squares I already have and possibly adding many more! 5. Finish at least one knitting project. I've only just learned to knit and I'm not sure whether it will be my thing or not but I would like to try and make at least one thing to give it a go. 6. Hand make the majority of the cards I send. 7. Turn my Emily Peacock tapestries into cushions - this is something that I have been meaning to do for ages and I just need to get on with it! 8. Have another go at silver clay jewellery - I bought all the kit at the end of my course and its just sat in my spare room ever since. Whoops! 9. 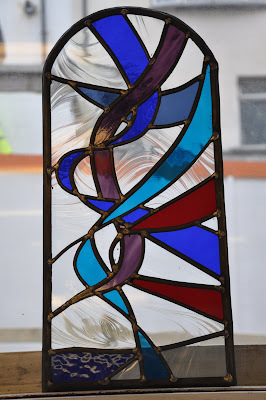 Look into getting a stall at a craft fair, probably selling mainly glass goodies, maybe with someone else. 10. Use up some of my fabric stash BEFORE I buy any more. I should probably try to do this for yarn too! 11. Write a tutorial for this blog. 12. Have 2 blog giveaways and participate in some swaps. 13. Aim to blog at least once a week. 14. Start using ravelry and documenting my projects on there. 15. And to finish on a more general intention, I always like to have several projects on the go but I would really like to get better at finishing things before starting new projects! Phew - looks like I've got a busy year ahead! I've actually already managed to put the wheels in motion for some of these intentions already and it looks like I should probably get started on the others! If anyone is thinking of putting a list together like this then I would definitely recommend it - just typing this all out has got my brain whirring with things I want to get started on. Hmmm....maybe I should take note of number 15 in particular!! *I was inspired to use the word intentions rather than resolutions by Heather - I think it sounds much more positive and less pressurising!! That's a heck of a lot of intentions! I have to say I'm loving knitting as well as crochet, and if you've not used Ravelry yet, then as far as I'm concerned, you're in for a major major treat :) Lots of free patterns, and advice from experienced makers, and inspiration from everyone - I love it! gosh you are going to be busy! 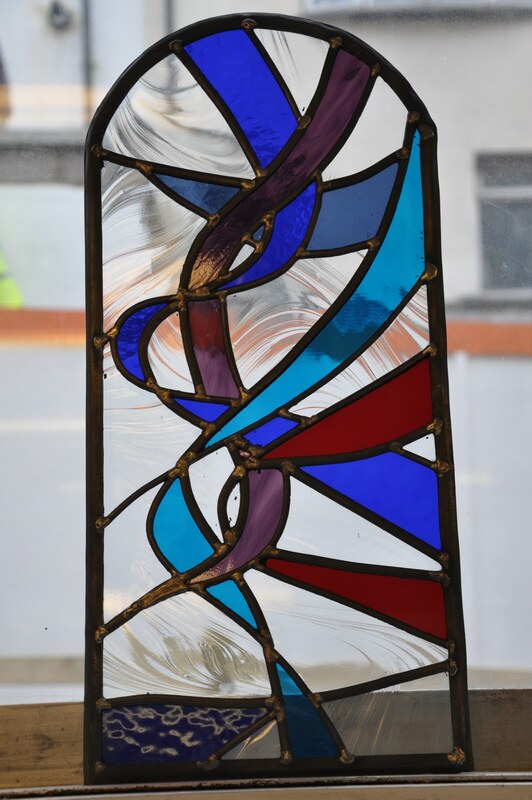 Looks like you have lots on the go, just love your glass work. Fab intentions, and it does sound a better word to use doesn't it? If you're still interested in a swap for your lovely glass just shout, that would be one off your list! Some really good intentions there, and some gorgeous projects! I too will be trying to learn new things and attend classes where possible (there just aren't that many round here). I've been meaning to do more Crafting for Charity but never seem to get round to it - there's a group called Loving Hands which crafts for loads of different charities if you're interested. I need a lie down after reading it but then I'm a profession procrastinator. Okay, I have to admit that you've made me feel a tad guilty and a whole lot tired after reading your resolutions. I also feel admiration for your strong intentions and your drive -- you go, girl! I usually make my New Year's resolutions on Labor Day here in the States, which is the first Monday in September and the day before I used to go back to school and teaching. Somehow, it has always felt like the beginning of a new year for me. I always loved buying fresh, new school supplies and new clothes, so as I've aged, it seems like a perfect time to pledge a new ME. I can't wait to see some of your new creativity in action, Dotty -- be sure to share it all. Such a lot of lovely projects! I do love the glasswork and your granny blanket will be amazing when it's made up. I look forward to seeing your knitting- I've definitely got the bug! And I forgot to say- DO join Ravelry! It's brilliant! So many lovely free patterns for one thing!! WOW you will be busy, that granny blanket will look beautiful and as for your glass, simply stunning. You're one talented lady! I'm back! And giveaway news.....!